Race your Shopkins around the supermarket visiting Fruits and Veggies, Dairy and the Frozen Foods section. Collect a token at each of these locations before braving the Sundae Summits as you move toward the Bakery for one more Shopkins token! 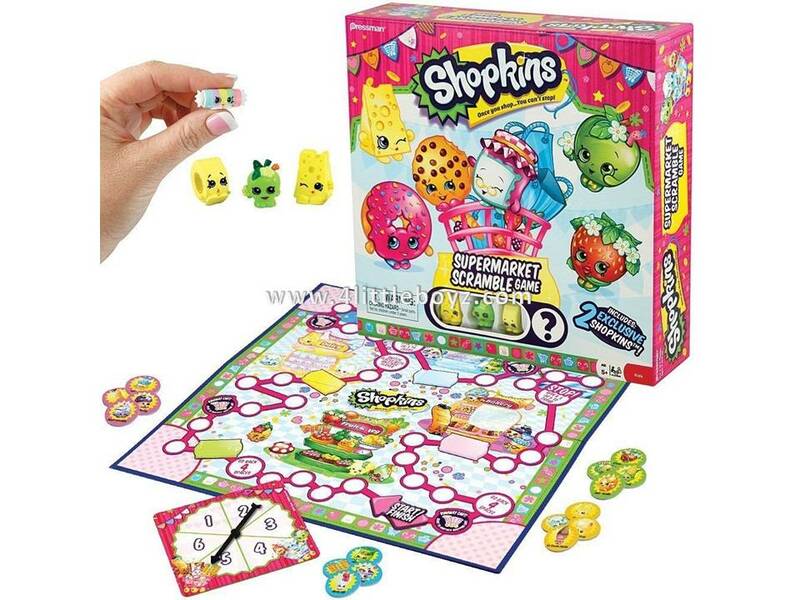 Be the first player to collect one of each kind of Shipkins tokens and to reach the Finish space to claim victory. Watch out for Runaway Cart spaces that scoot you to different departments in the supermarket! Includes four (4) collectable Shopkins characters. Two (2) are exclusive to this game.